A troubled heart. I’m pretty sure you’ve had one of these. In fact, I’m pretty sure you’ve had one of these several times. 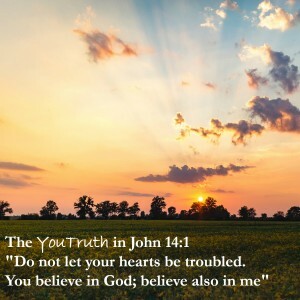 You may be experiencing an ongoing “troubled heart condition.” If any of these statements is true about you (at least one them is surely true), Jesus has the remedy. In this chapter of John’s gospel, Jesus is reassuring disciples with deeply troubled hearts. He’s been telling them that He is going to die, one of them is going to betray Him, and that one of them is going to deny he even knows Him. This is troubling news indeed! And then Jesus issues the encouragement above and lays before them the path to a trouble-free heart. This is your path to a trouble-free heart too. Believe in God. Believe in the One who created the universe and all that is in it: majestic mountain peaks, roiling oceans, birds in flight, peaceful evening breezes, all of it. Believe in the God that is eternal and outside His creation, not bound by the confines of space and time, but in all places at all times. Any trouble you may be facing, He saw coming before you were even born. He’s got it. He can handle it. He can guide you through it. Don’t let that trouble into your heart. It will do damage in there. God and Jesus are a package deal, part of the Triune Godhead. They are together. They completely know of your trouble, and know the way out of it. 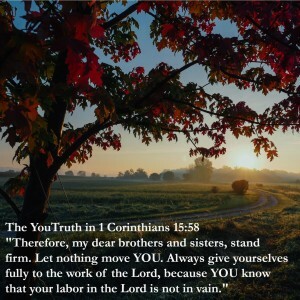 Believing in this, shuts and locks the door to your heart when trouble comes knocking.